Private Jiu-Jitsu lessons in Libertyville strengthen your skills and help you hone specific techniques that you learned in class. Private lessons are a great way to gain an edge over the competition and advance your abilities on a faster timeline than your peers. Your journey in Jiu-Jitsu is unique and the training shows different results for everyone, which is why it’s best to follow a personalized approach when learning the art of Jiu-Jitsu. At Gracie Barra Libertyville, we not only offer comprehensive classes for all ages and skill levels, but also encourage our students to take part in a private training course to lock in what they have learned in class and further improve on their skills. 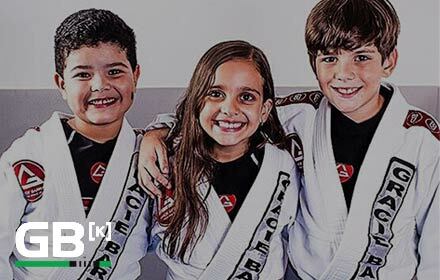 We offer private Jiu-Jitsu lessons for students in North Shore, Chicago and Lake County to help you gain a deeper understanding of the art and take your training to the next level. This is the preferred method of training for many of our champions who participate in competitions due to the personalized attention each student receives. The one-on-one time you get during your private training is essential to learning Jiu-Jitsu. Enroll in your private training today to increase your knowledge and understanding of Jiu-Jitsu. Contact Gracie Barra Libertyville to learn more about private training opportunities available to you.